Here are several costly appeal mistakes nonprofits often make. Are you guilty of any of these? Many nonprofits mail every appeal to their entire donor house file. But not everyone in your house file is appropriate for the same general renewal appeal. For example, have you been mailing to deeply lapsed donors year-after-year to no avail? If so, these donors may need a more targeted approach than your core supporters. At some point, donors who fail to respond year-after-year may need to be dropped from mailings altogether. Prospects or event participants, with (presumably) a more superficial relationship to your group, require more convincing than your core supporters. They need more details about your work and a message that reflects their specific connection to your organization. Taking time to carefully select a mailing list will reduce production and postage costs. Crafting a relevant message for that list will increase response rates and overall revenue. Bulk mail can be confusing and time consuming. Time after time, nonprofits take the easier, faster road and mail appeal letters first-class. Even organizations that do process bulk mail themselves are probably spending more than they should. 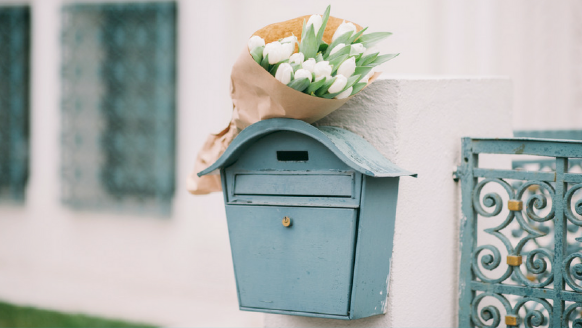 Although it seems counter-intuitive, using a professional mail house can be more cost effective than first-class postage or in-house bulk mail processing. My recent cost analysis demonstrated this to be true for several reasons. First, professional mailers use equipment that can automate mailings and qualify them for a much lower per-piece rate than an organization can get on its own. Second, because many professional mail houses have their own nonprofit rate permits, 501c3 groups can use a mail house’s permit, saving them several hundred dollars each year in annual fees. There are also significant indirect costs with processing your mailing in-house, including wear and tear on your equipment, printer ink, and staff time that is always better spent on fundraising. While you should probably avoid sending the same boring letterhead for every single mailing, you don’t need to go overboard with specialty papers or elements of design that cost money without improving return rates or average gift. True, you want a package that is appealing enough to get opened. But some elements of design are less cost effective than others when it comes to fundraising appeals. For example, using a letterhead design that “bleeds” to the edge of the paper is typically more expensive for appeals because it requires printing on larger (more expensive) paper that will be cut down to the final desired size. Since I’ve never found data suggesting that a design with bleed generates higher response or gift size, using a less-expensive design style makes sense. When I researched printing costs for my annual appeal workbook, it became shockingly clear that prices vary tremendously from printer to printer. Printers use a variety of techniques and equipment. Because some of these processes are more costly, it really pays to get estimates from as many printers as possible. Ask for recommendations from other organizations so that you’ll have confidence in the quality of the printer’s work. Investing your organization’s money carefully and proactively takes time, even when it comes to routine fundraising activities like appeals. Just as we carefully plan and monitor expenses for our special events, we need to do the same for each appeal we send. Creating an appeal budget with projected expenses and revenue forces you to review past appeal performance. You’ll identify adjustments that will reduce expenses, increase response rates, and invest your money where it is most effective. Even if you’ve made some of these mistakes in the past, the good news is that you’ve got plenty of time to fix them if you start now. If you make time to carefully plan your appeal, review your mailing list, establish a budget, and get plenty of estimates from potential vendors, I guarantee you’ll see big improvements in your results. Need some help with your fundraising appeal? Learn about the Smart Guide to a Smarter Annual Appeal. Also, if you aren’t already a member of Smart Annual Giving, sign-up now and get immediate access to our Annual Giving Resource Center with resources that can help you get started. « Should you ask volunteers to give money on top of their gifts of time?